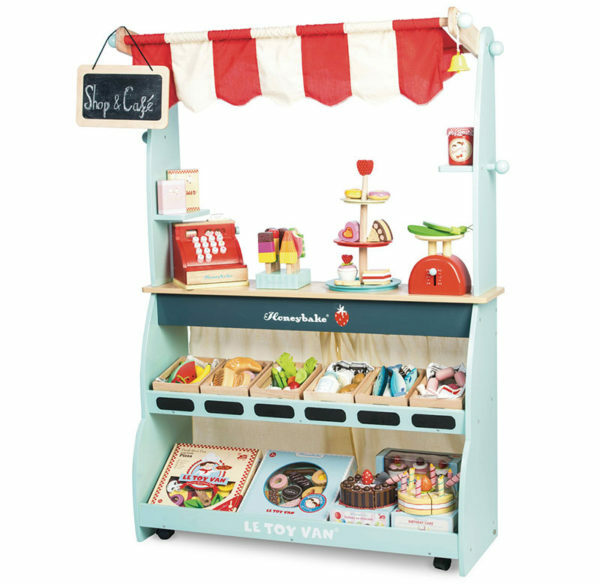 Get your trolley wheels warmed up kids, it’s time to hit the shops with Le Toy Van’s reversible shop and cafe stall! A long time fan of the Le Toy Van Honeybake collection, I absolutely adore this sweet Honeybake Shop and Cafe. The perfect toy to store your child’s Le Toy Van Honeybake collection of adorable play food and accessories. Kids can create a gorgeous café stand on one side of the stand to lure would-be patrons walking through the lounge room – and with a simple turn on the castor wheels – a busy produce shop on the other. 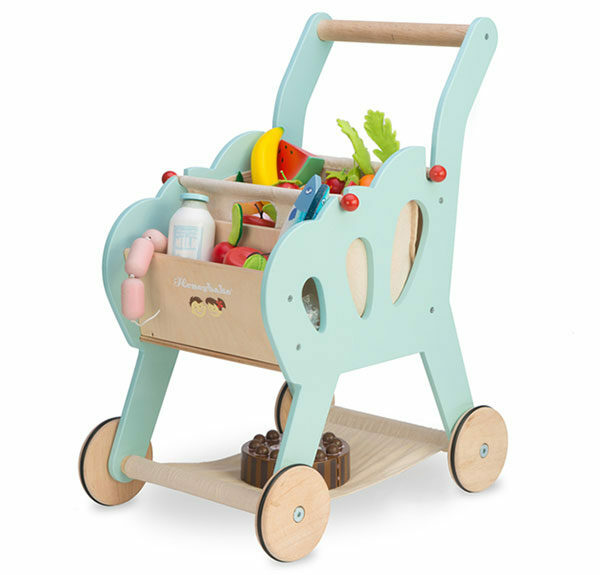 A sturdy wooden build in beautiful duck egg blue, this toy promises years of role play fun. The stall sports a brilliant red and white awning, concealing curtains, a reversible chalk board sign and an all important bell for customers to ring. For the ultimate (and cutest) shopping experience, team the Honeybake Shop and Cafe with the Honeybake Shopping Trolley with removable fabric shopping bag. The Honeybake Shop and Cafe, $254.95, and Honeybake Shopping Trolley, $132.95, are both available locally at Lime Tree Kids.